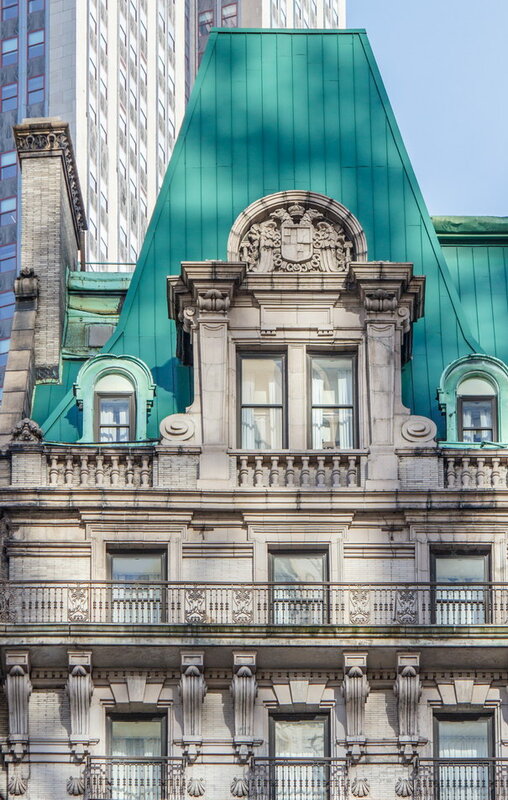 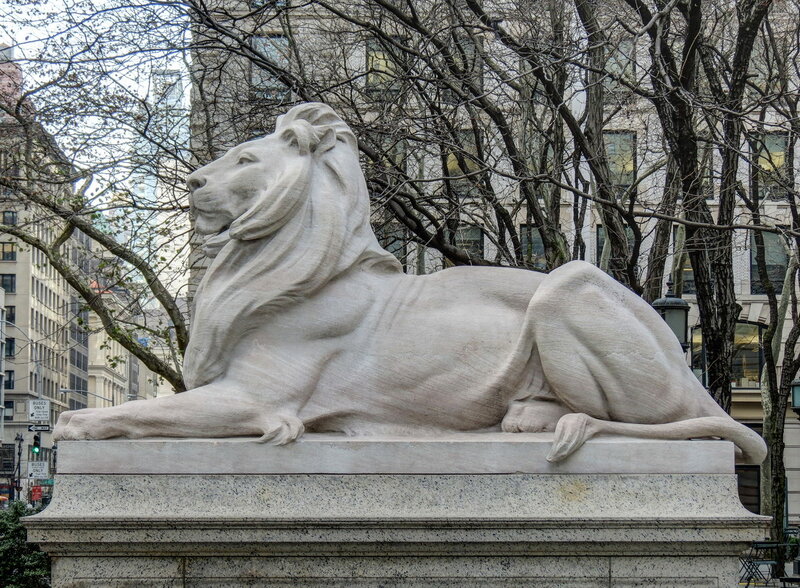 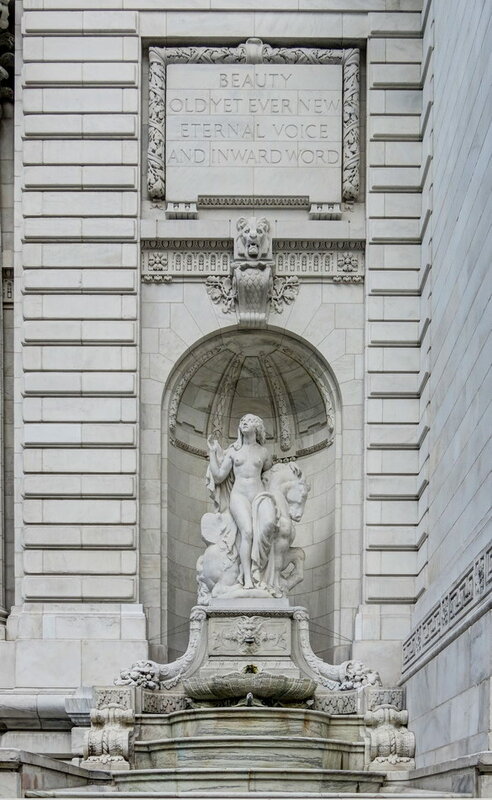 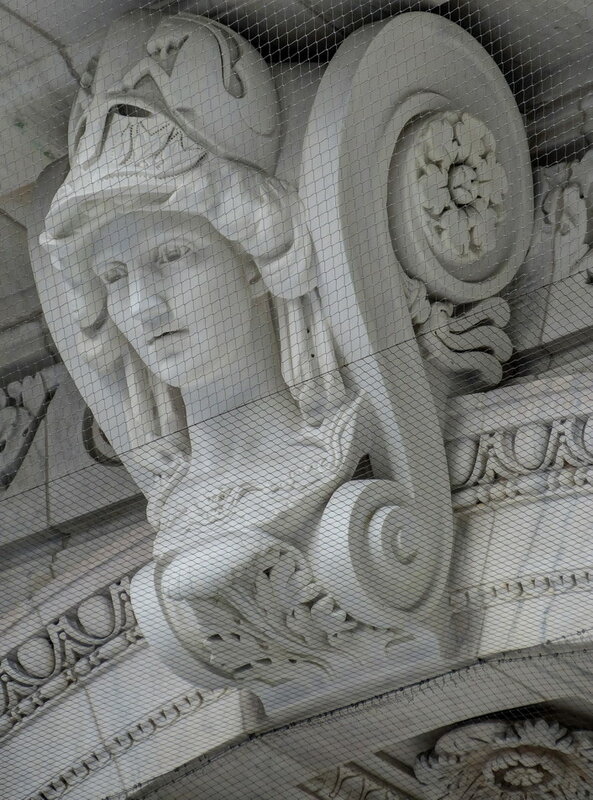 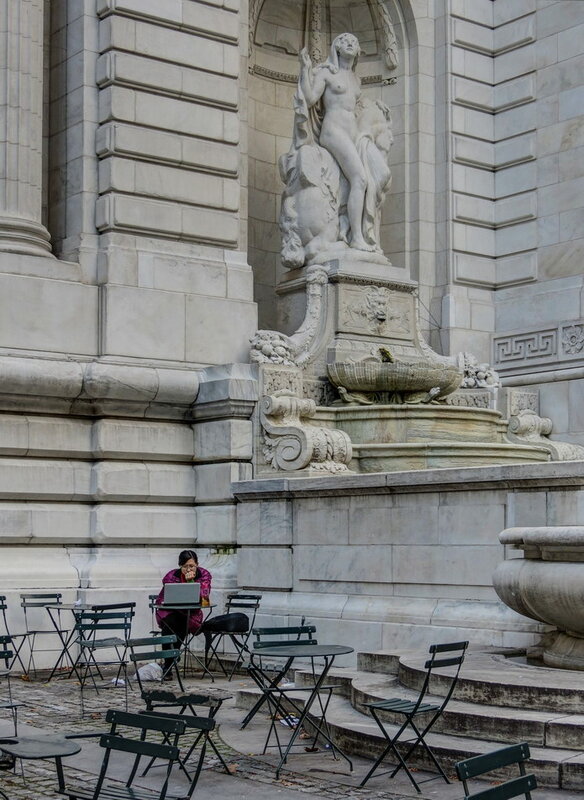 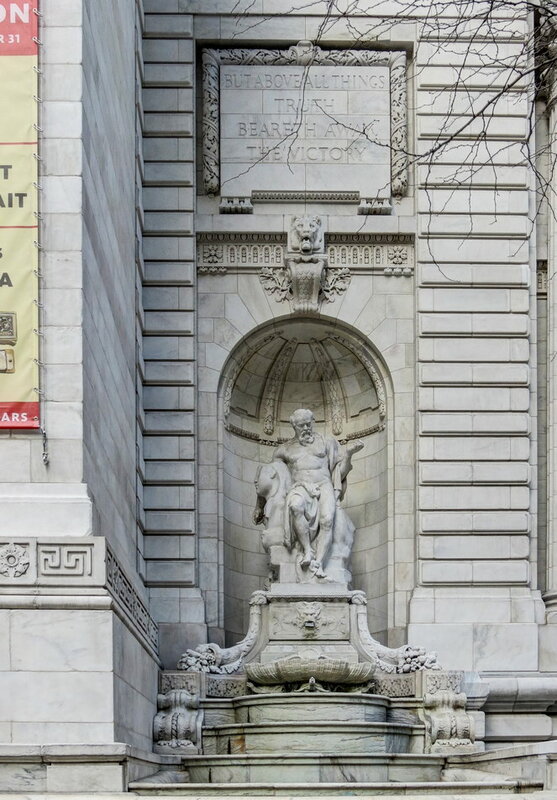 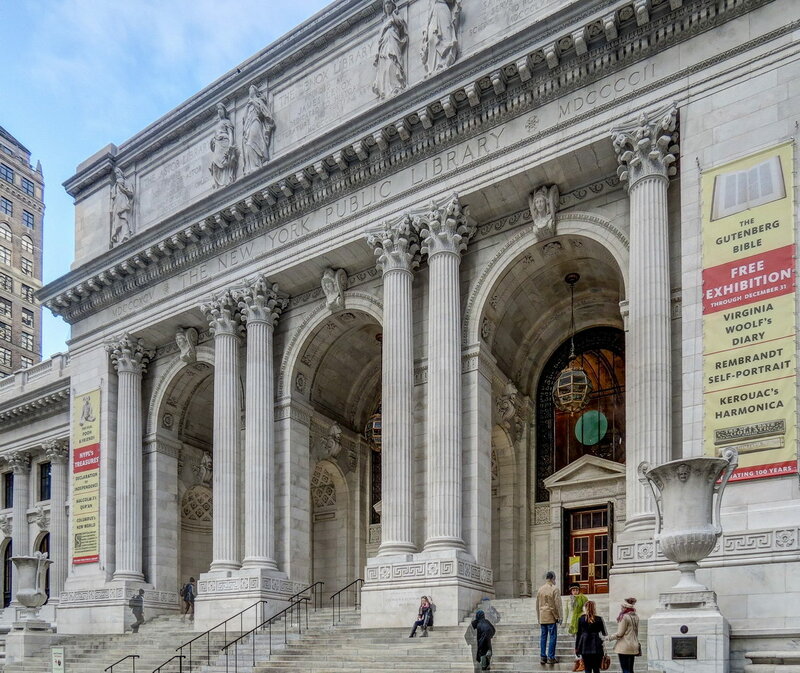 March 2, 2015 Manhattan1911, 476 Fifth Avenue, beaux arts, Carrere & Hastings, civic, historic, landmark, Manhattan, midtown, New York City, public library. 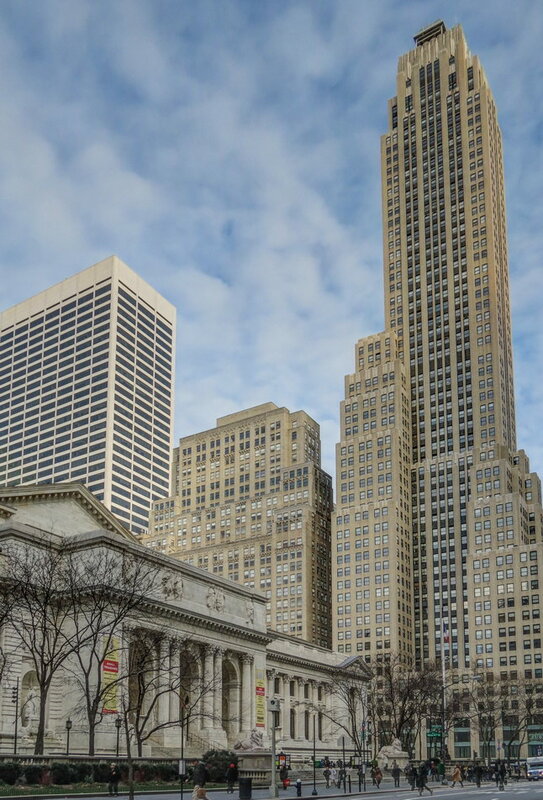 The site of the library and adjacent Bryant Park had been the Croton Distributing Reservoir. 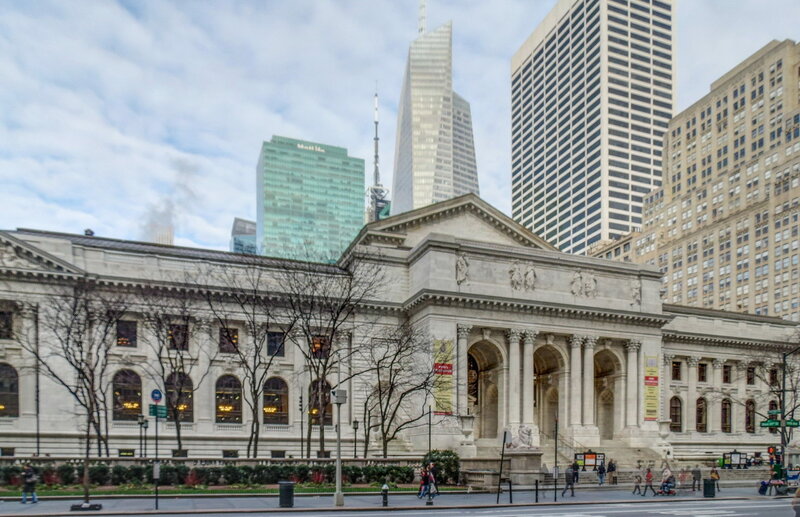 Bryant Park, incidentally, is a “green roof” for the library’s expanded (in 1980s) storage space. 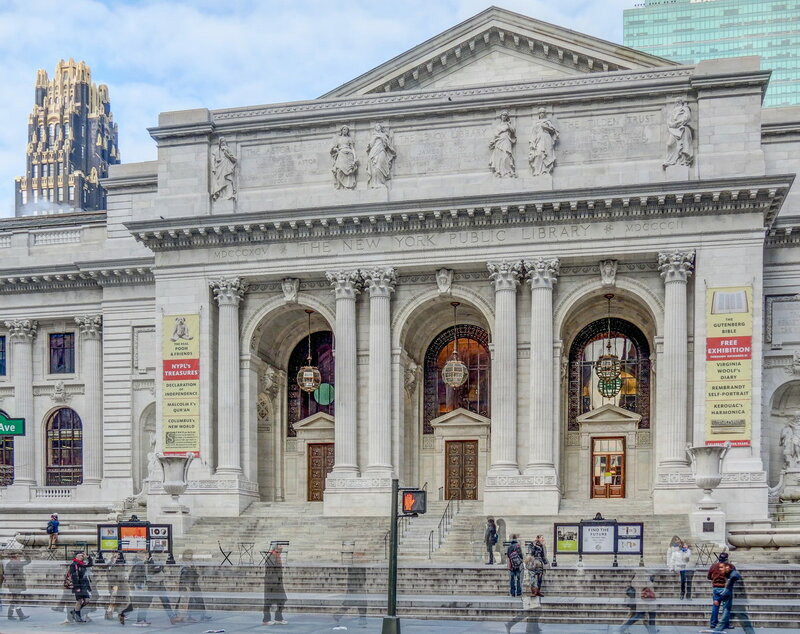 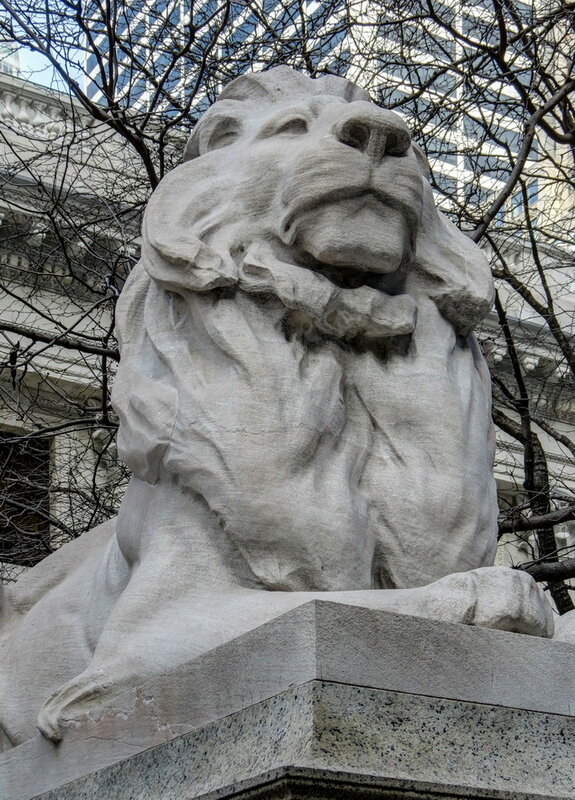 The fascinating history of the New York Public Library system – and the main branch, Stephen A. Schwarzman Building – is at http://en.wikipedia.org/wiki/New_York_Public_Library. 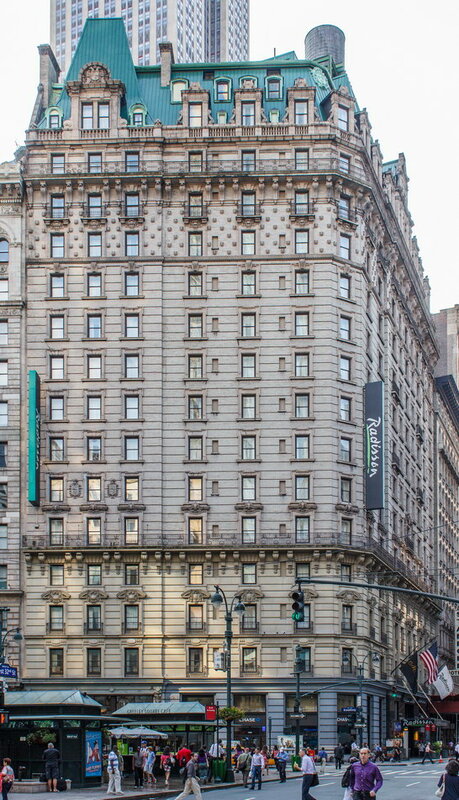 February 22, 2015 Manhattan1260 Broadway, 1898, 1903, 1911, french renaissance, Henry Janeway Hardenbergh, historic, hotel, landmark, Manhattan, midtown, New York City, Radisson. 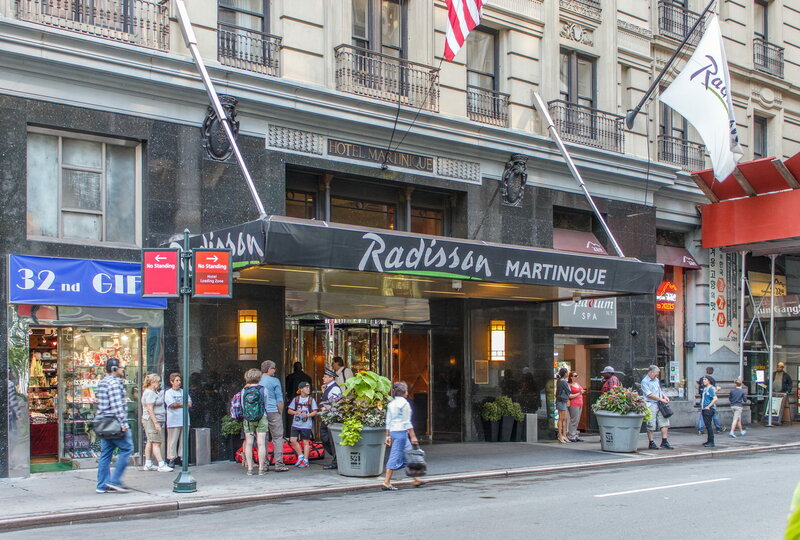 Hotel Martinique is full of surprises. 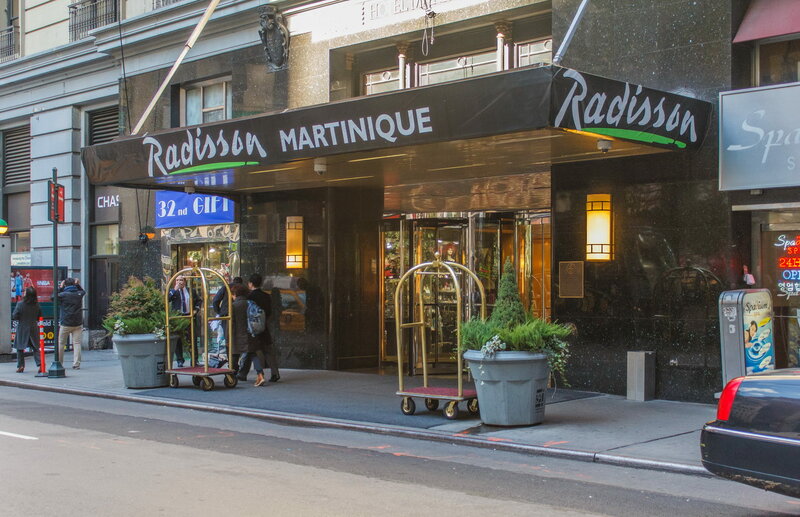 For starters, don’t let the French Renaissance style fool you: The name has nothing to do with the sunny French Caribbean island – it’s named for developer William R. H. Martin. 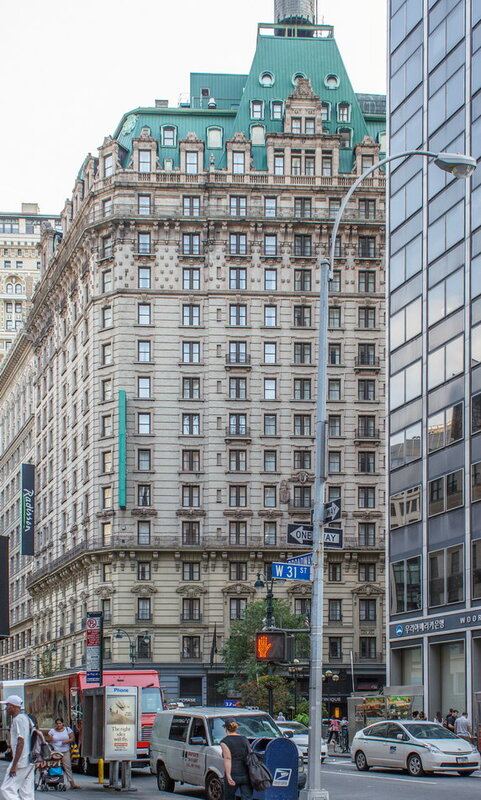 And the showy Broadway and W 32nd Street facades are actually add-ons to the hotel – it started as a more modest property on W 33rd Street. 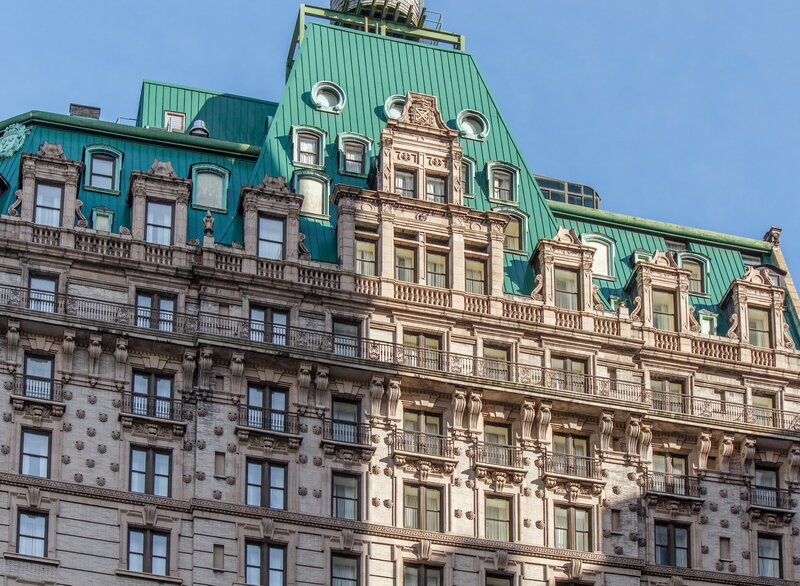 But if the style reminds you of the Plaza, that shouldn’t surprise: the two hotels have the same architect, Henry Janeway Hardenbergh. 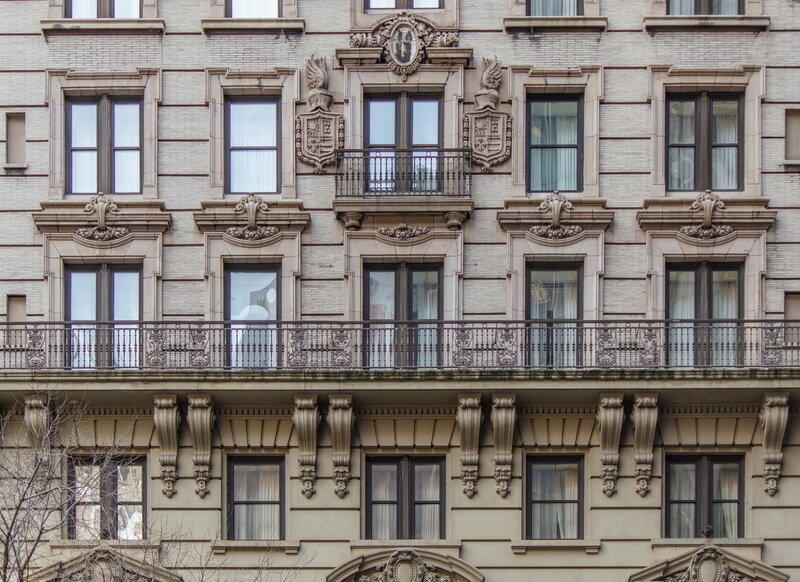 Like the Plaza, Hotel Martinique has open space – Greeley Square – in front of it, to show off grand-scaled elements: A four-story mansard roof, tiers of balconies and gigantic ornaments. 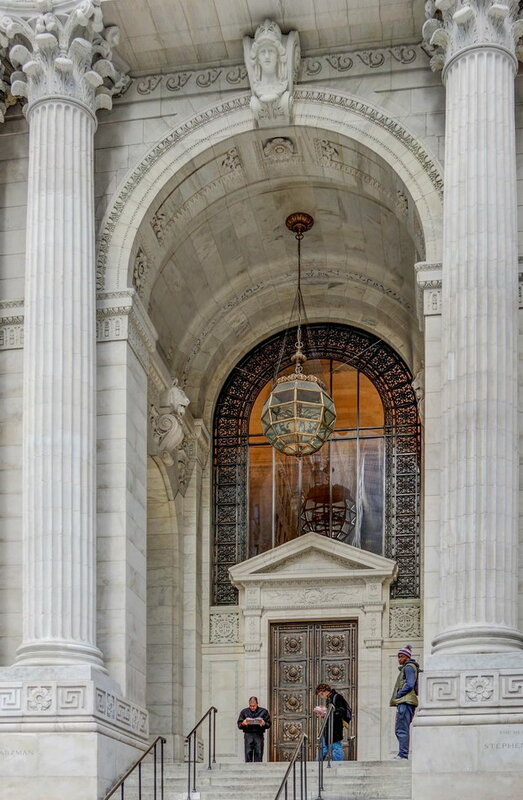 Grandiose was appropriate for the time. 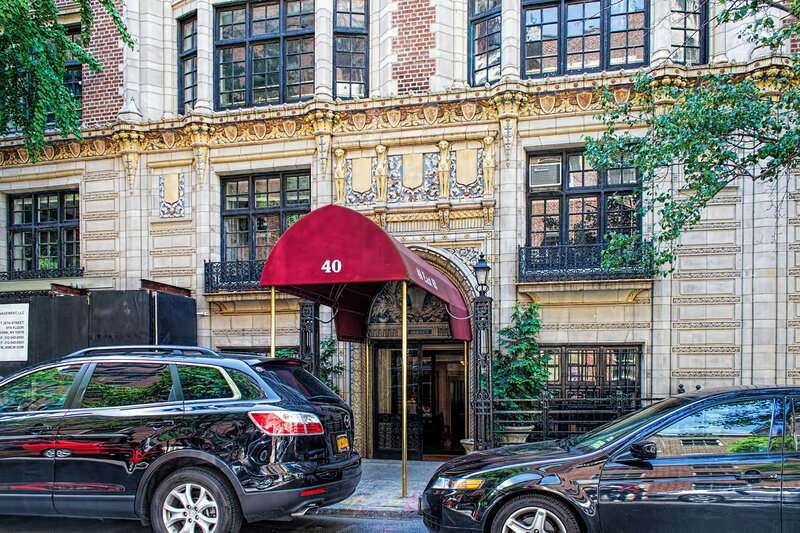 Just down the block (where the Empire State Building now stands) were the original Waldorf and Astoria hotels (also designed by Hardenbergh). 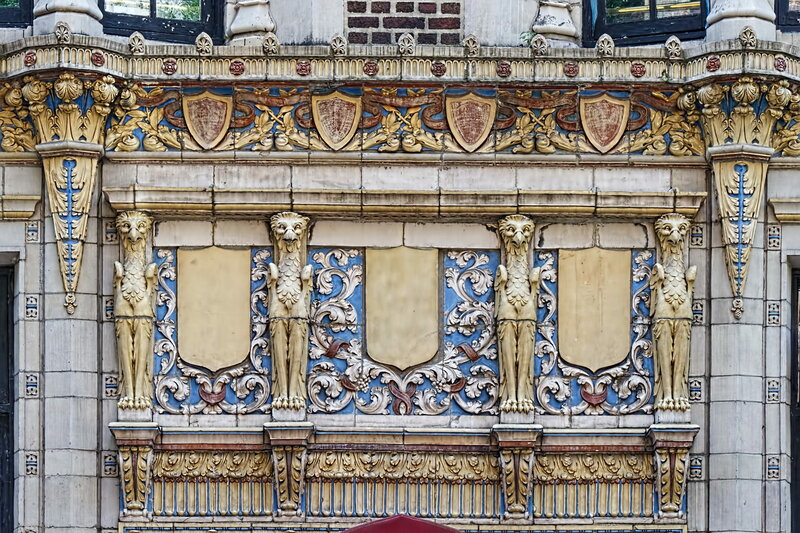 Unfortunately, as the theater district moved north over the years, so did Martinique’s luxury clientele. 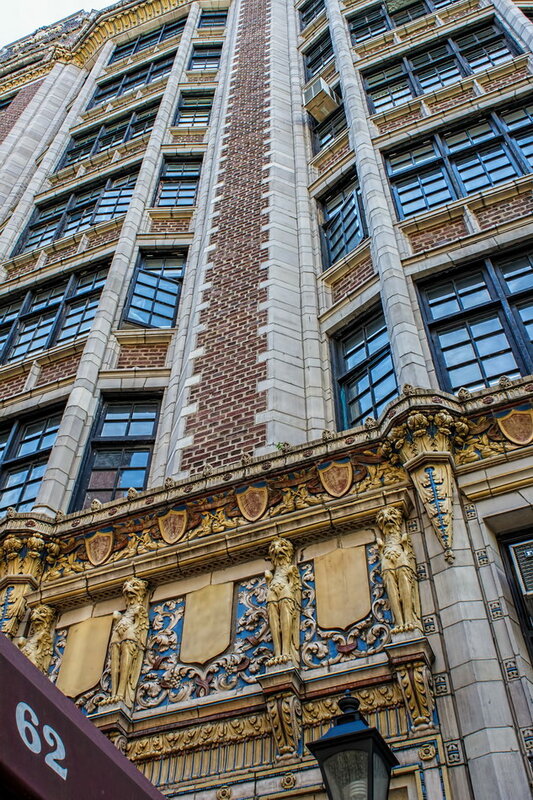 By the late 1900s the property became run down; in the ’70s and ’80s it was a notorious homeless shelter and welfare hotel. 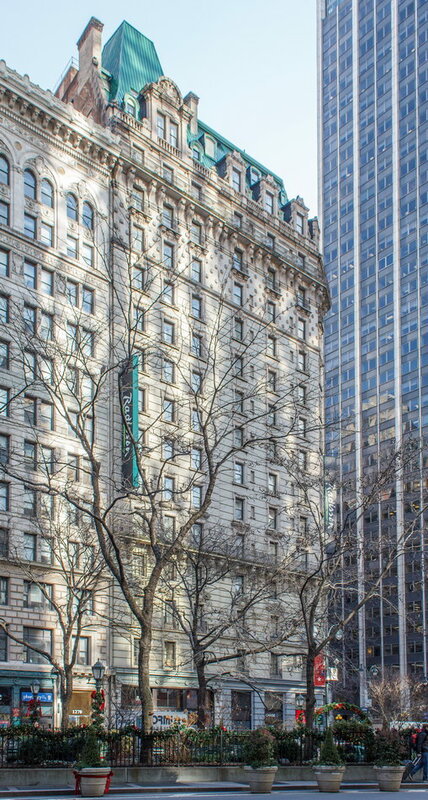 At the time of its designation as a NYC landmark, the Hotel Martinique was being renovated as a Holiday Inn. 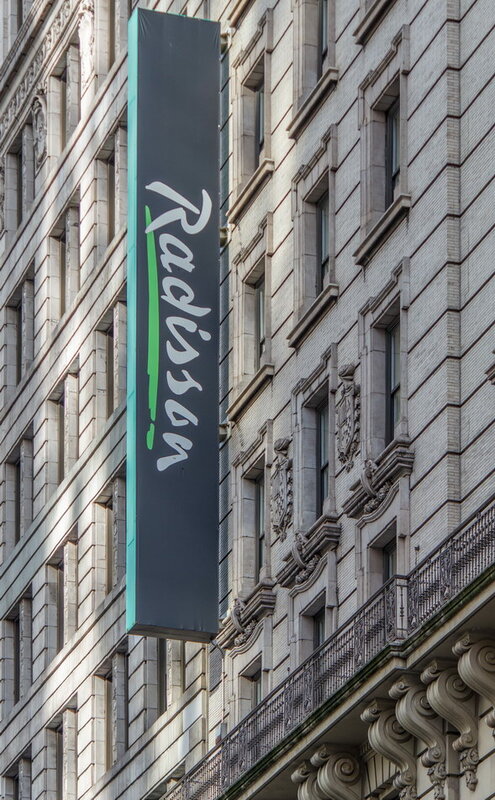 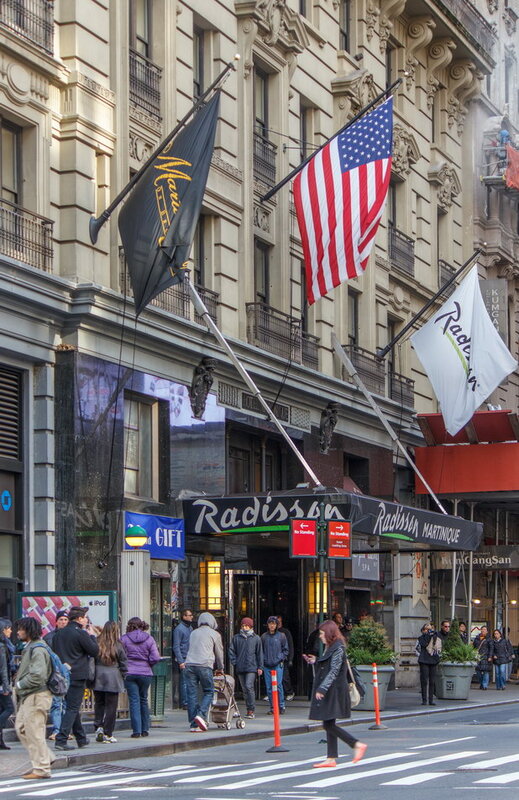 Currently it is a Radisson property, popular with airline crews and tour groups. 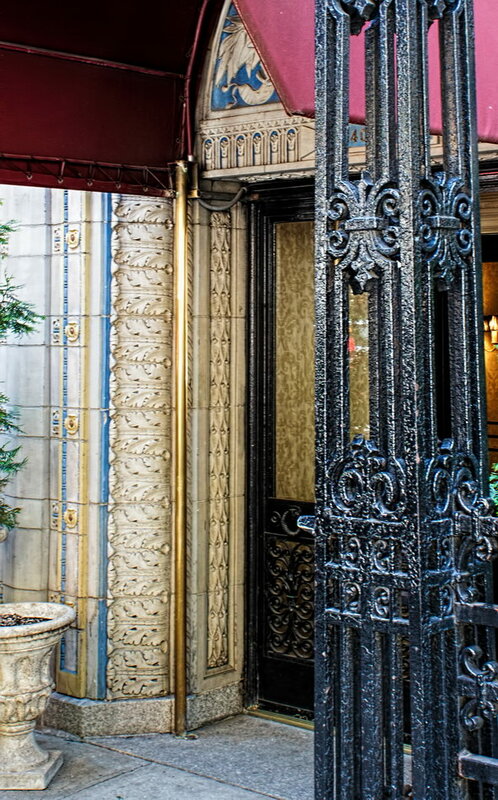 In keeping with W 32nd Street’s current identity – “Korea Way” – the property has a 24-hour Korean restaurant, Kum Gang San. 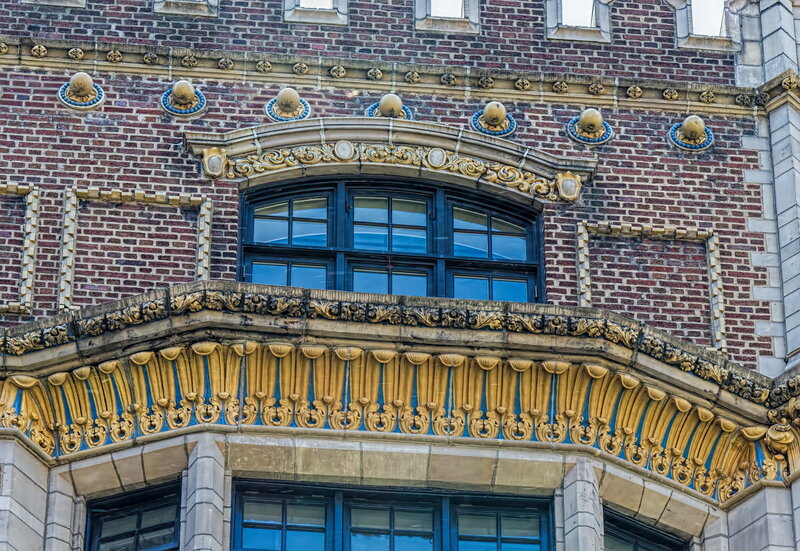 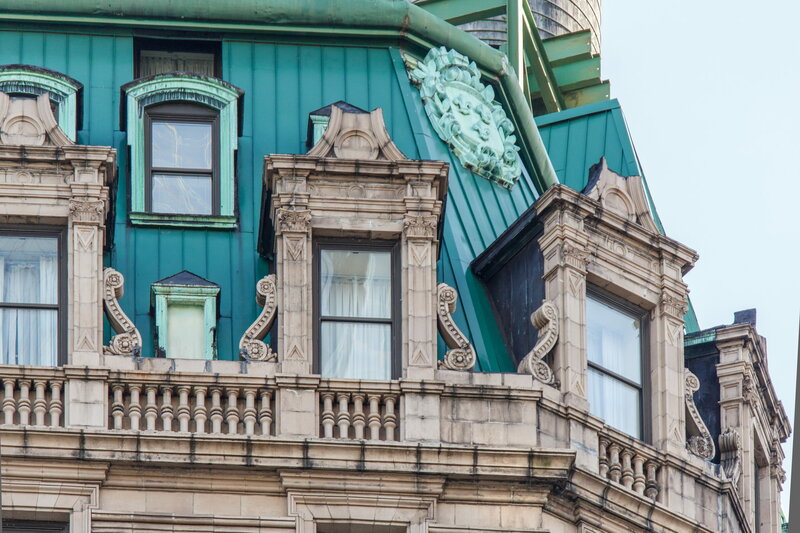 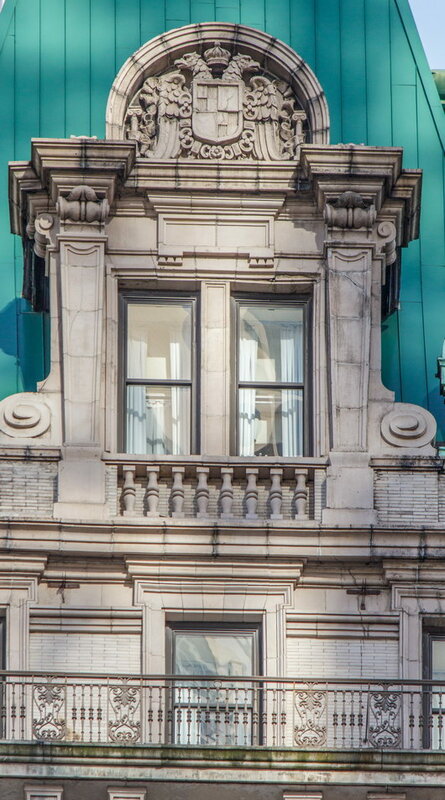 February 21, 2015 Manhattan1911, 40 E 62nd Street, Albert Joseph Bodker, apartments, landmark, Manhattan, medieval, New York City, residential, upper east side. 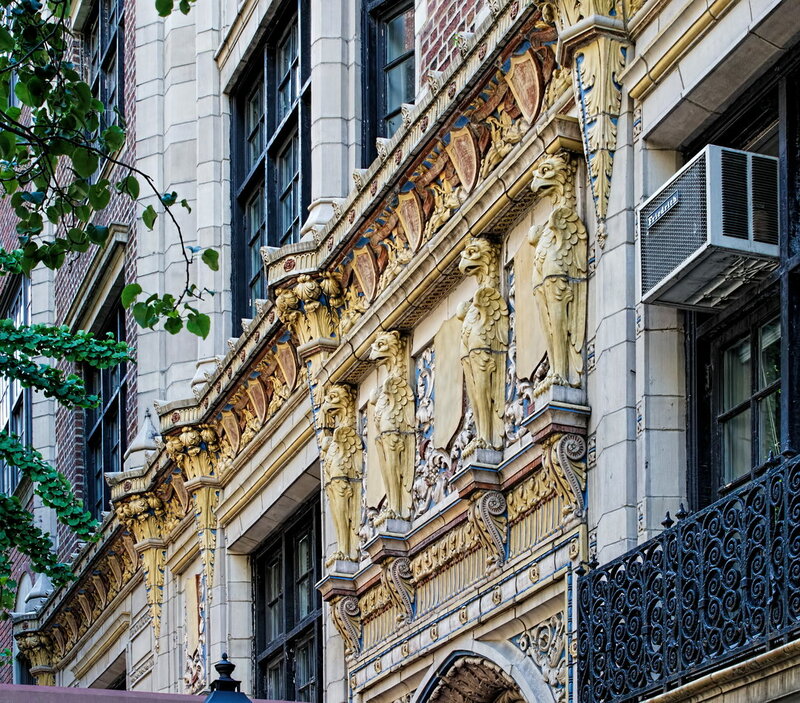 40 East 62nd Street lights up the block with its colorful gold, blue and red terra cotta; bay windows and battlements suggest a medieval castle – (a man’s home, after all…). 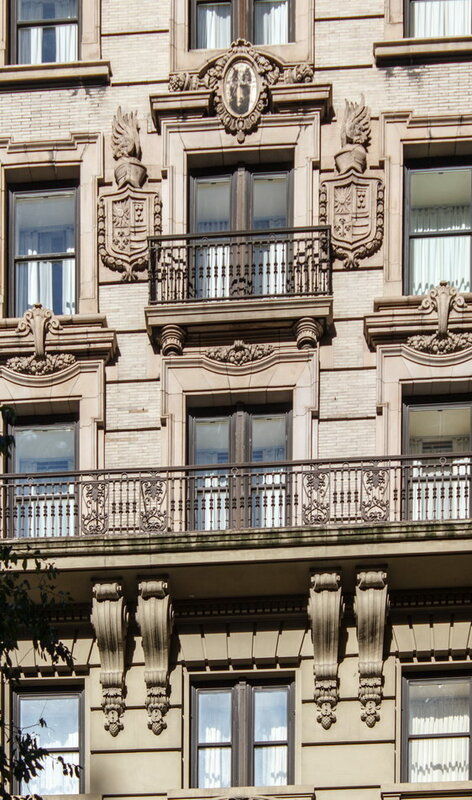 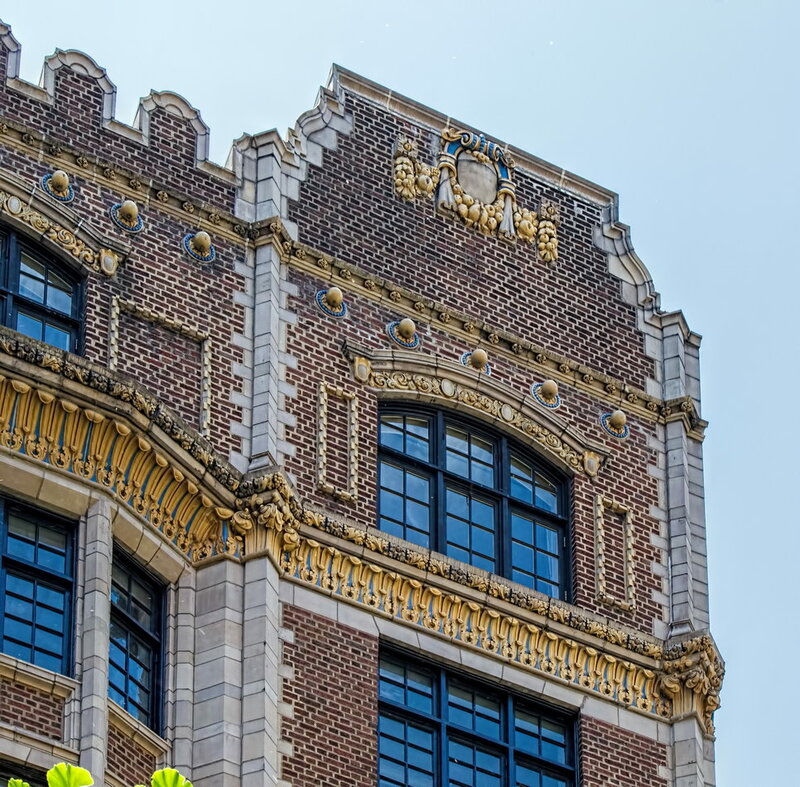 The building is part of the Upper East Side Historic District, in fine company if you’re looking for historic residences. 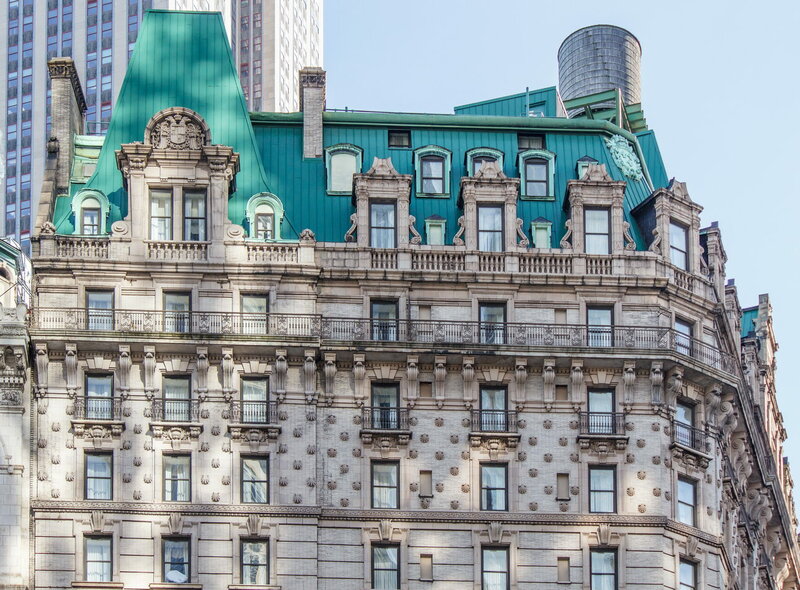 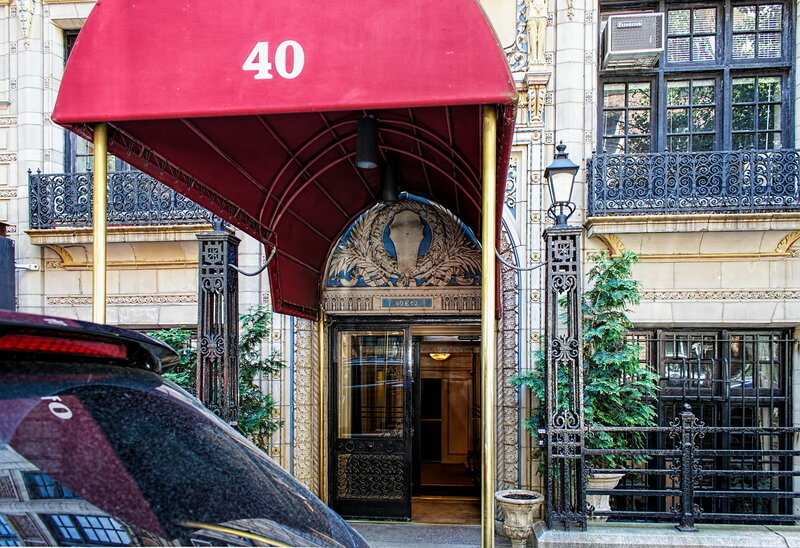 Among the building’s wealthy and famous tenants was Henry Janeway Hardenburg, architect of the Plaza Hotel and The Dakota. 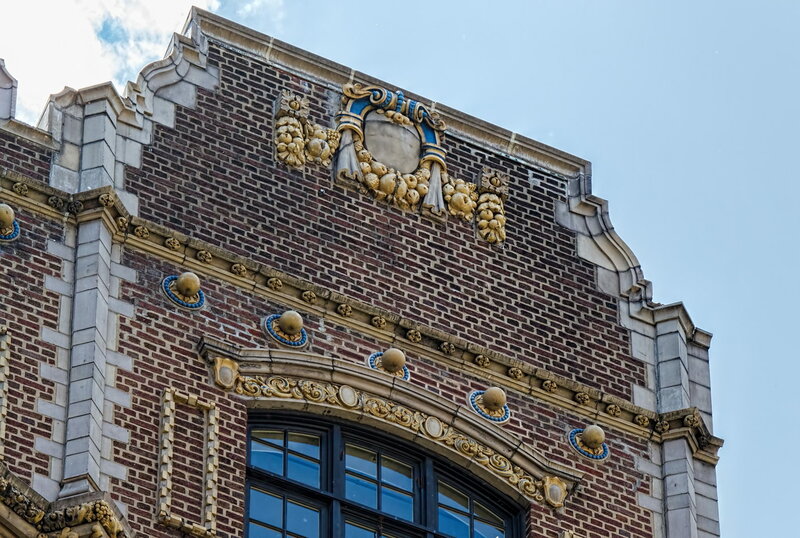 The New York Times Streetscapes column and Daytonian in Manhattan blog are excellent reads; the Daytonian blog includes old photos and floor plans.